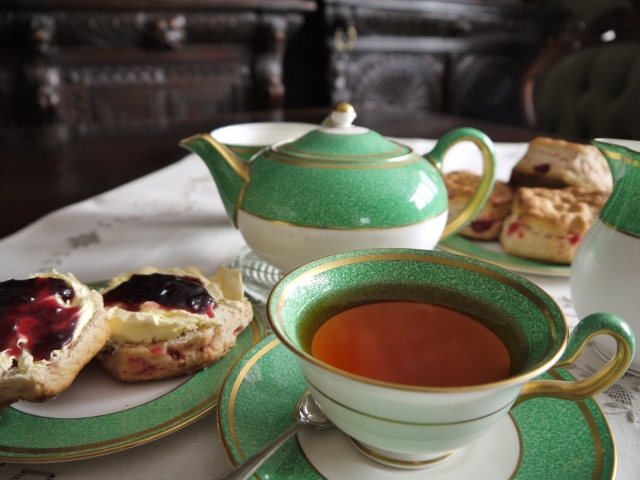 Strangeness & Charm » Blog Archive » Tea recs – tea from Steampunk Coffee. There is a small, bitter war taking place downstairs. I can hear it, can chart every action in the conflict, though not a word is being spoken. The battleground is my afternoon tea tray, and the combatants are Miss Hortensia Kepple-Botham and Miss Rosemary Clytemnestra Horsmel the Second (because someone took a good look at the first one and decided, against all reason, that another one would be a good idea). Both ladies are part of some charitable organisation that Does Good Deeds, and every Sunday I am one of those Deeds, like it or not. They arrive at three, the former on foot, the latter mounted on a fearsome bicycle with a wheel that shrieks with all the fury of an avenging spirit. Each will be armed with a selection of freshly baked delicacies, of which I am rather fond, and a small sheaf of uplifting tracts, of which I am not. The crux of their discord is the making of tea and, specifically, the order in which the milk and tea are added. Miss Kepple-Botham is a vehement advocate of the Milk-then-Tea brigade, while Miss Horsmel flies the Tea-then-Milk colours proudly above her billowing mainsail. Each is convinced of the superiority of her position, and each seems determined to enjoin me to her cause. Personally, I’ve been known to go either way. 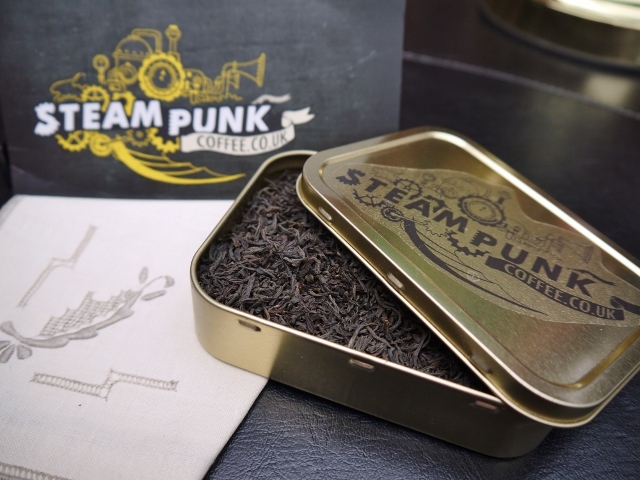 This rather dashing little tin contains today’s tea of choice – an aromatic Earl Grey from Steampunk Coffee. I confess, I’m rather susceptible to attractive packaging, so I was instantly won over by the shiny container. But it’s the contents that matter, of course, so on with the tasting. As you may surmise, Miss Horsmel emerged triumphant from this first sortie. The tea leaves are large and loosely furled, and infuse quickly; two minutes was more than sufficient to achieve a rich amber hue. If you’ve never heard the phrase ‘the agony of the leaves’ applied to the writhing tealeaves as they steep, I encourage you to find excuses to use it in daily conversation. One can’t have tea without cake. Well, one can. But I don’t. These are Kepple-Botham cherry scones. 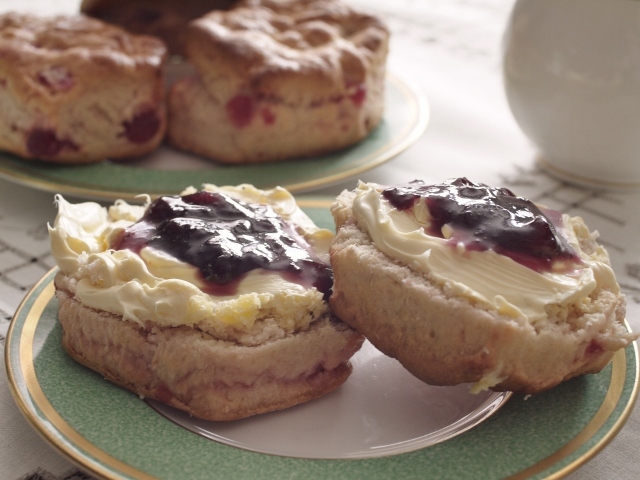 Not that there’s anything wrong with a scone made by someone named R.C. Horsmel. 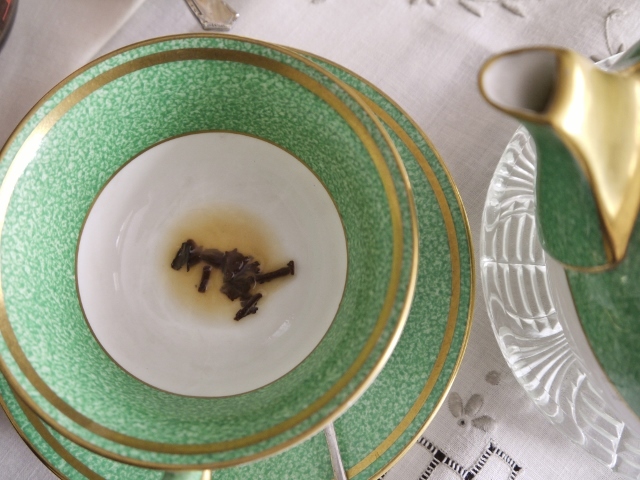 The tea itself is delicate, the scent of bergamot much more noticeable in the unbrewed leaves than the final cup. With little or no bitterness, and only a mild and quite pleasant astringency, I have no hesitation in recommending Steampunk Coffee’s Earl Grey blend as the centrepiece to an afternoon’s refreshments. Milk first, or milk second, it seems to have found favour with both of my visitors, who appear to have declared a temporary truce so that they can combine forces and read me ‘improving passages’. I’m no expert at tasseography, but I have a feeling the leaves are significant, somehow. 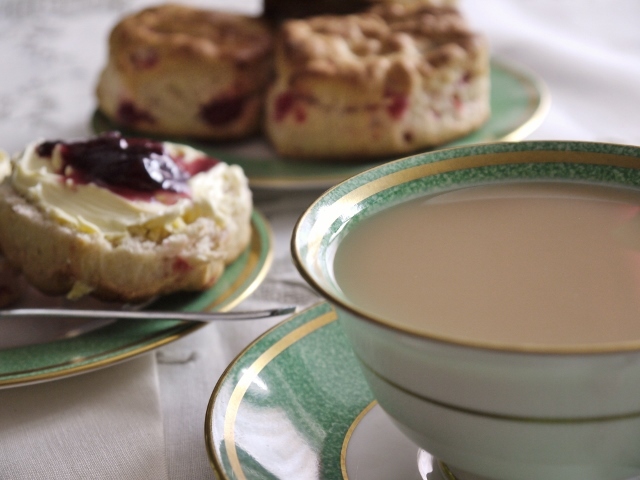 Never mind – would you like a scone?